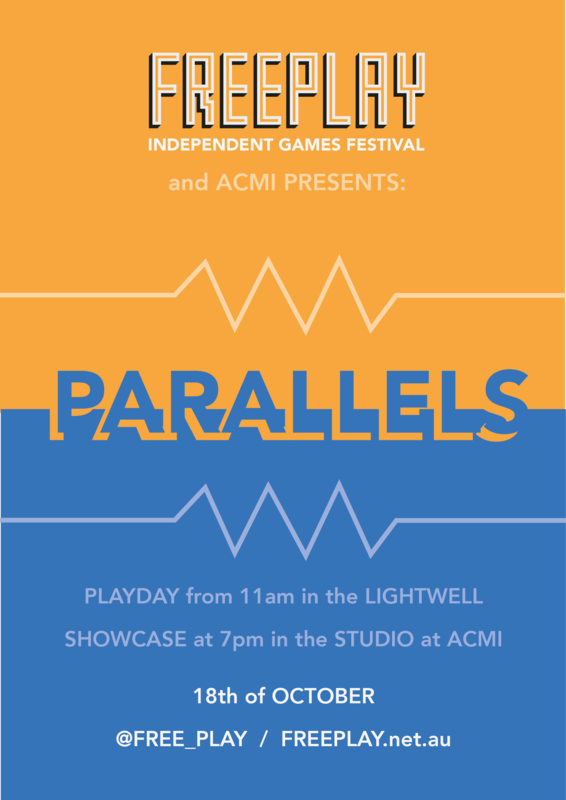 We’re just under two weeks out from Parallels, our Showcase and Playday at ACMI on the 18th of October, and we’re incredibly excited. We’ve got a lot in store for you. To get a preview, head on over to our brand new Freeplay Tumblr, we’re we’ve been giving a sneak peak of some of the games we’ll be featuring in the Showcase. 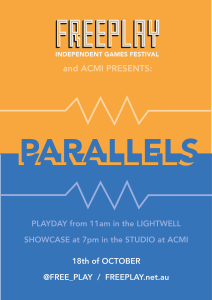 To buy tickets to the Showcase (the Playday is free), head to the ACMI website. If any journalists want to come along, send us an email at media [at] freeplay.net.au and we’ll organise a press pass for you.